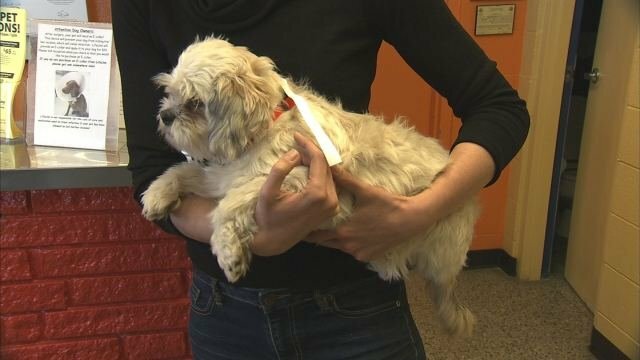 Dozens of pet owners turned out Wednesday to get their dogs and cats spayed or neutered at two free clinics in metro Atlanta. The event was sponsored by Fix Georgia Pets, a non-profit group that provides low-cost spay and neuter procedures throughout the state of Georgia. The organization said the goal is to reduce euthanasia rates by preventing unwanted breeding. “We have such a crisis in Georgia, over 300,000 animals being killed,” said Ginny Milner, co-founder of the organization. Milner said the state has one of the highest kill rates in the country and it costs taxpayers an estimated $100 million a year. “Our main goal is to try to use the millions of dollars that taxpayers pay on euthanasia, use that money and redirect it,” said Milner. At the Lifeline Animal College in College Park, 51 people brought their animals in for surgery. Other pet owners agreed the fact the clinic was free attracted them to the event. Fix Georgia Pets said many people don’t get their animals fixed because of a lack of money or they do not realize how important it is. “What we would like to do is to be able to reduce the number of unwanted litters of both kittens and puppies in order to prevent those animals from eventually going into the shelters and unfortunately being euthanized,” said Devon Stewart of Lifeline. Stewart said there are numerous resources available to help pet owners. To find out more about the free spay clinics or to donate, go to CBS46.com and click on Weblinks.